Speed: Up to 20 fillings per min. Power required: 220 VAC 50 Hz. 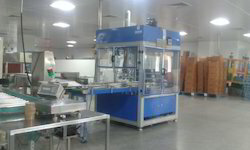 We are the most prominent supplier of Automatic Packaging Machine to our valuable customers. 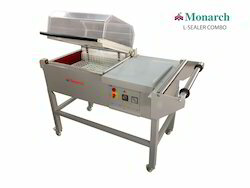 CPV225 is a medium speed top loading case packing machine designed specially to handle various products with compact for print.It is highly ergonomic and has operator friendly connection which facilitates accessibility to all operating areas. As a policy we do not trade. Every kilo of spice exported is processed in our own facility. To do so, we have sifters, aspiration channel, de stoners, grinding machines, dryers, magnets, metal detector and packaging machines. The Company has also taken initiative in establishing its own laboratory. It has started testing physical parameters like moisture and impurities at its own premises.